NoLines Oragnic Duo System rapidly and effectively revitalizes your skin with incredible anti-aging ingredients for instant and cumulative results. 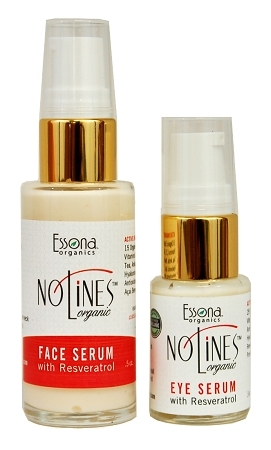 Super concentrated organic serums use patented technologies designed to address the most visible signs of aging. Works like magic! It s loaded with organic antioxidants, vitamins, organic herbs, natural peptides, EFA, Hyaluronic Acid, and essential oils to protect your skin against free radicals and improve the overall health of your skin. Give your skin a bright, luminous glow and a rejuvenating boost.